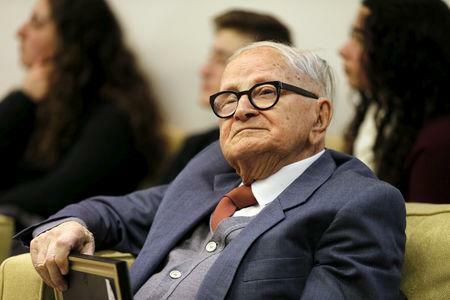 JERUSALEM (Reuters) - Rafi Eitan, a former Israeli minister and veteran spy who led the operation to capture fugitive Nazi mastermind Adolf Eichmann, died on Saturday at the age of 92. Eitan died after being hospitalized in Tel Aviv, YNET news website and other Israeli media reported. He then headed Israel's Bureau of Scientific Relations, which was involved in the scandal surrounding Jonathan Pollard, a U.S. naval intelligence analyst arrested in 1985 and sentenced in 1987 to life imprisonment for spying for Israel.